System Requirements: Must be highly accurate. Meter calibration must be traceable to NIST. Must be light-weight and portable. This system consists of a transfer standard turbine flowmeter, a metering run, and electronics that is mounted on a hand truck for mobility. The electronics provide instantaneous indication of the flowrate and flowing temperature, a total flow indicator, as well as an accumulative test total indicator. 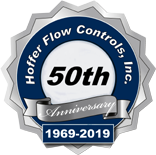 Hoffer can supply provers in sizes to support ¼” through 2″ flowmeters. customer. Meters can be calibrated in the field. Prover is light-weight and portable. Prover provides high accuracy that is traceble to NIST. 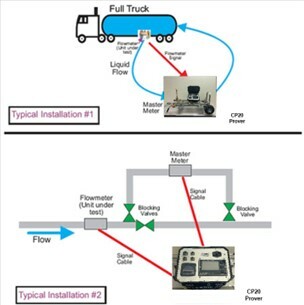 Summary: The SY-14 Prover is a very effective and mobile tool to verify the accuracy of flowmetering systems for both bulk transport applications and plant/lab installations. 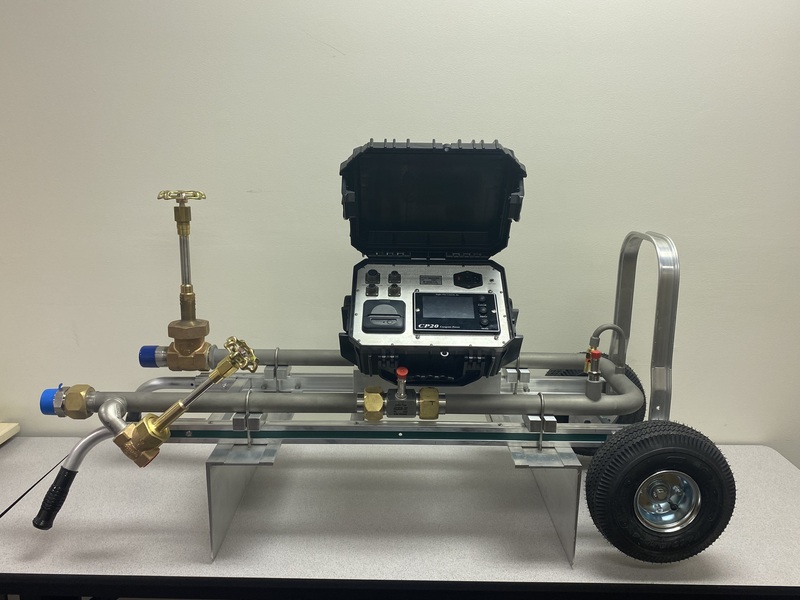 Portable provers can be designed and manufactured for a variety of liquid applications including cryogenic, petroleum products, or any “clean low viscosity liquid”. The prover is suitable for customer’s with multiple meters and provides an economical means for flowmeter recalibration. The customer benefits by eliminating the need to send their turbine flowmeters to a certified calibration lab for recalibration which entails down time and labor costs.